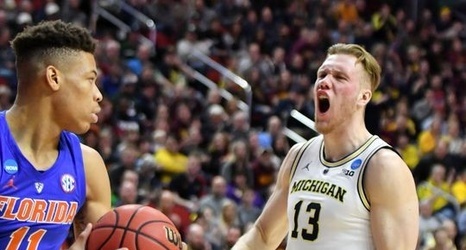 Michigan freshman forward Ignas Brazdeikis, redshirt junior wing Charles Matthews and sophomore guard Jordan Poole announced their intention to declare for the NBA draft last week. It’s a decision that shouldn’t come as a surprise since underclassmen can gather feedback, get evaluations and, thanks to a rule change, hire agents all while keeping the door open for a possible return to school. By all accounts, Matthews’ departure is expected and Brazdeikis hinted he’ll be a one-and-done when he told ESPN he intends “to be drafted as high as I can be and start my journey.